I was compensated for this post, but all opinions are certainly my own. When I was three, my family relocated from Logan, Utah to Kansas City for my dad to take a job with Hallmark Cards. He has worked there for the last 25 years as a greeting card artist, so Hallmark is a company that has always been near and dear to me. Take-your-child-to-work days with my dad at Hallmark are some of my favorite memories as a kid. So when Hallmark contacted me about checking out their new boutique store in Kansas City, I was more than willing to head on over. As much as I love Hallmark, I rarely shop at their card stores. I buy Hallmark cards for birthdays and events, but most other things at their card shops don't fit my taste. 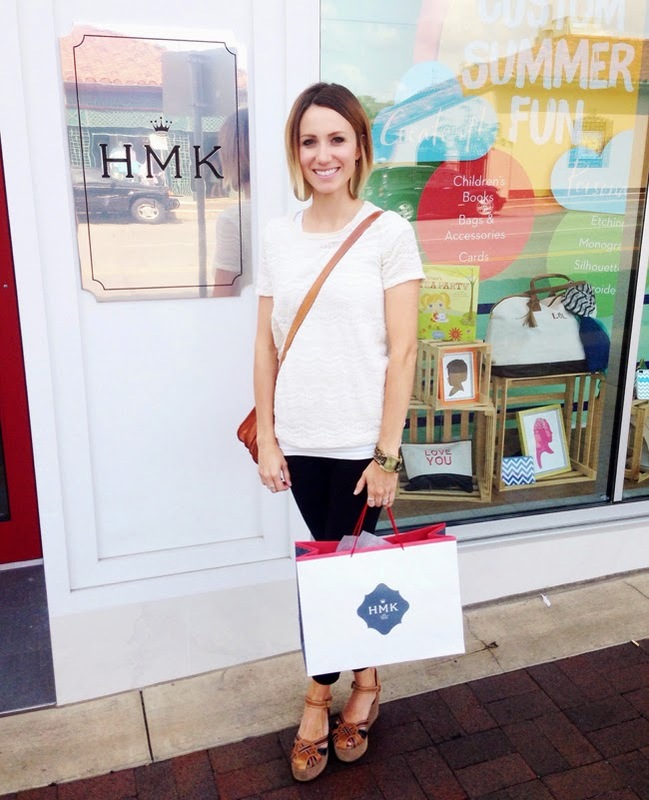 I wasn't sure what to expect from HMK, but I can say that I was very pleasantly surprised and would love to shop there again. The HMK stores are a combination of a women's/baby boutique and a card store. 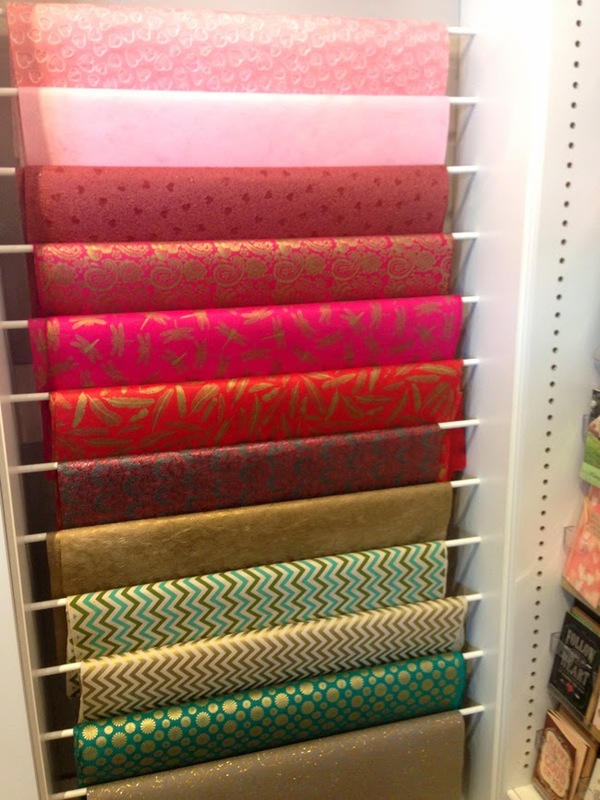 They offer jewelry, home decor, accessories, books, journals, cards, wrapping services, and more. 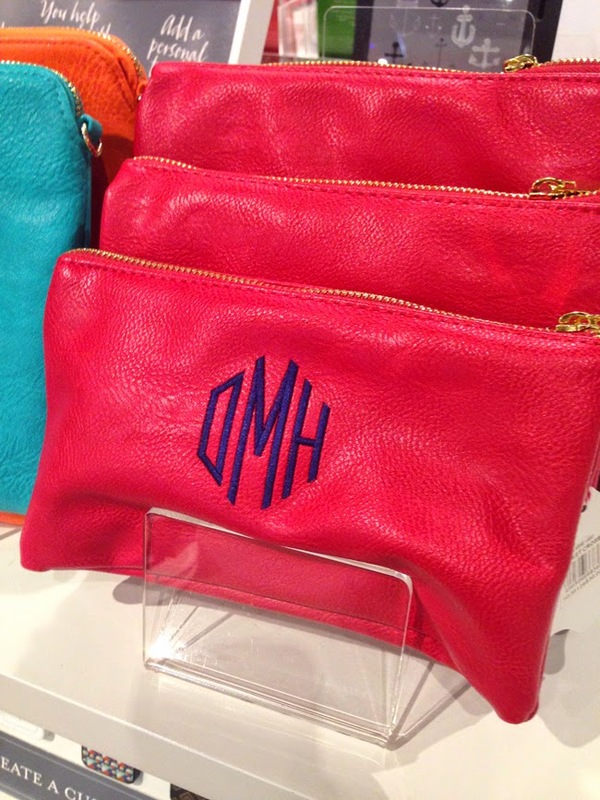 They also offer a very wide range of personalization and monogramming. 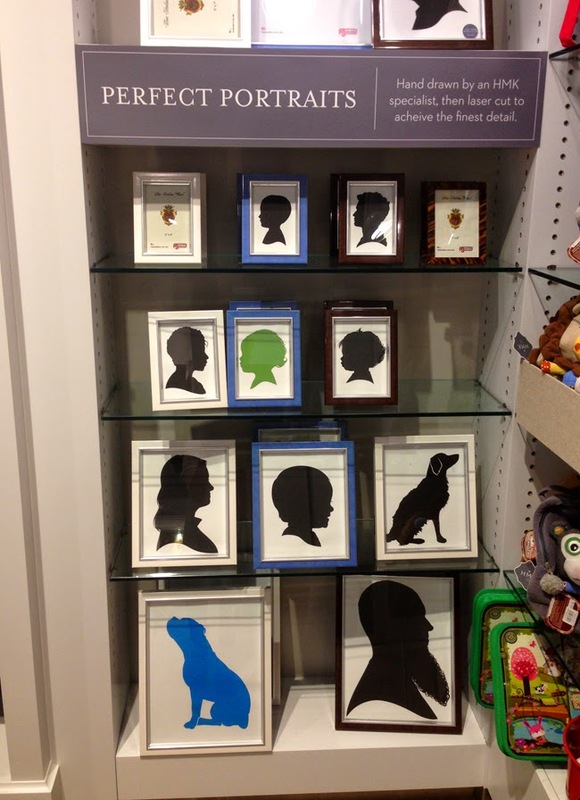 You can have silhouettes created in store or have almost any item monogrammed. They also offer personalized children's books. 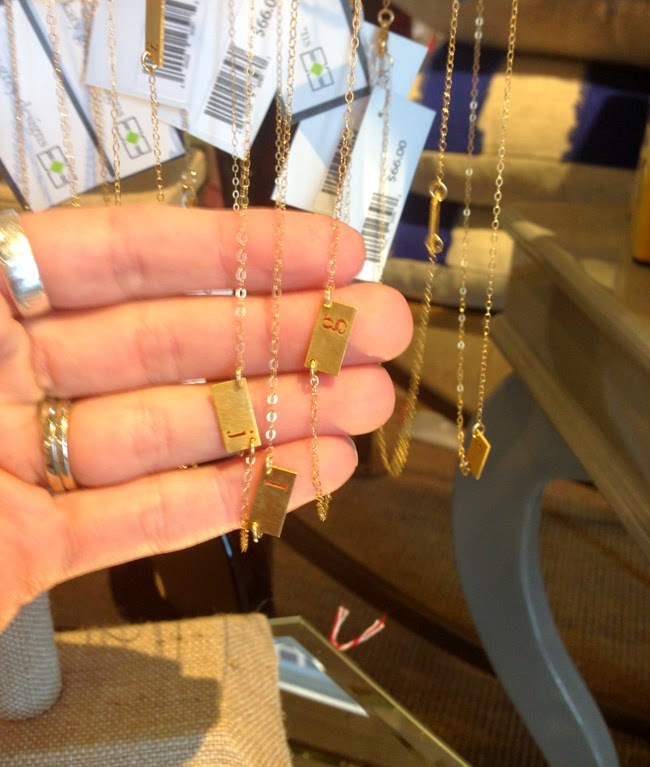 I was really drawn to these initial necklaces and bright leather clutches that can be monogrammed. There were so many accessories that were exactly my style that it was hard to choose! The wrapping paper was extraordinary. I couldn't get over the textures, prints, and colors. You can have your HMK item gift wrapped in-store, or you can bring in an item from another store just to have it gift wrapped. Like I said, I loved so many items in there. I was given a gift card to shop, and I could have picked out so many things. 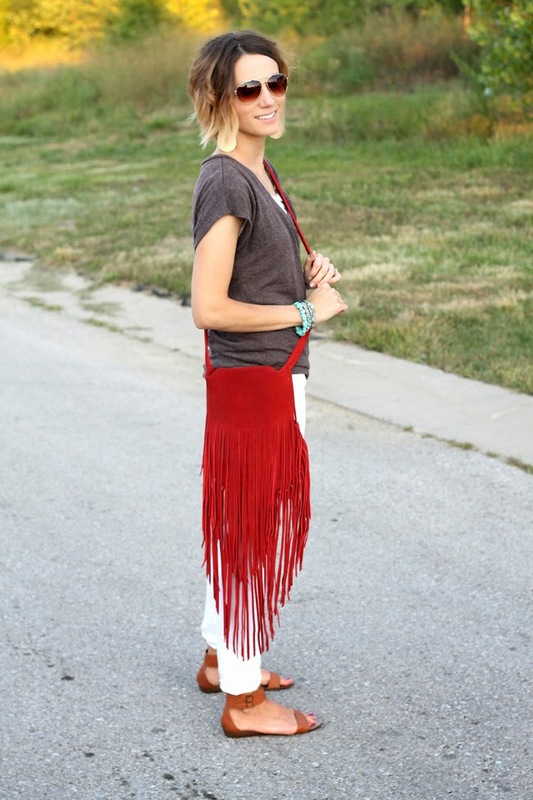 I ended up purchasing this AMAZING suede fringe bag as an early birthday present to myself. It also came in turquoise, brown, and tan. There are only three HMK locations in the country right now in Kansas City, Dallas, and Denver - but if you live near one, I highly recommend stopping in. It is a beautiful store to browse and shop. I will say that it is a higher priced store than I normally shop in. The items are beautiful but expensive. This store is somewhere I would shop to find the perfect gift or special occasion item. And for you lucky readers that DO live near a store, I have a fabulous giveaway for you. 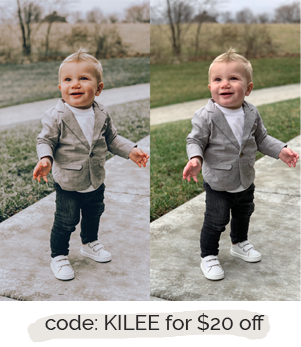 Enter to win a $50 gift card to HMK below. The contest ends 8/1/14. US entries only. Good luck! I have entered and would love to win so I can purchase a monogramed necklace:)Thank you! 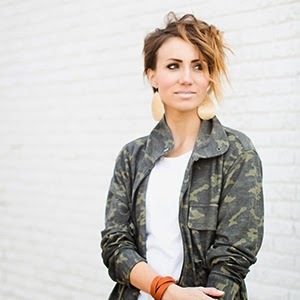 That monogram necklace is so pretty! And thanks for posting your outfit today. I put on my white capri's but then had a mental roadblock on what to wear with it. I mean, hello, it is white! Anything. 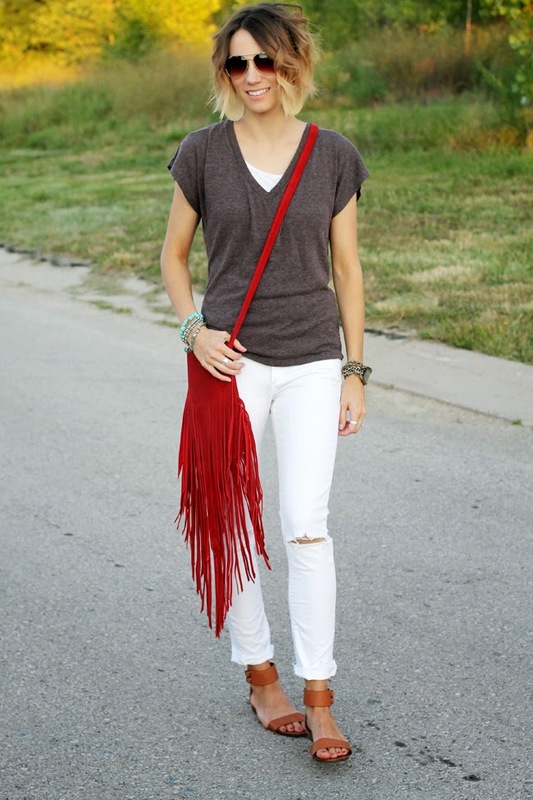 Your outfit gave me some inspiration to look again in the closet! Thanks! I wear white on top so much that I know what you mean! So glad it helped! 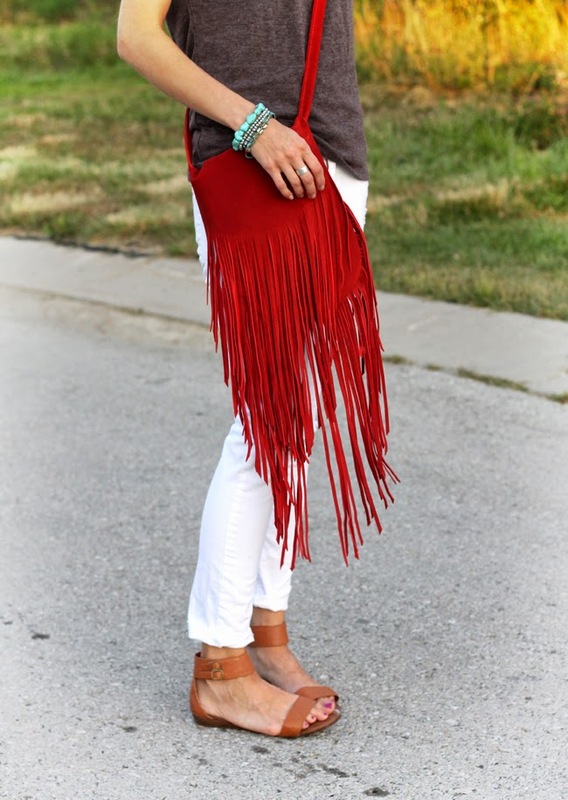 LOVE that gorgeous red bag! Watches? Looking forward to that! So awesome! I'm from KC, I love their stores!